Maria De Leon '20 drips solution with intent precision during the lab session for "Genetics of Organelle Function in Budding Yeast," a Wintersession course that brings College freshman into the research lab where not even the instructors are sure what their experiments will yield. For most college freshmen, working in a lab typically means following the step-by-step instructions of class assignments with the goal of performing a specific experiment to produce a predetermined result. 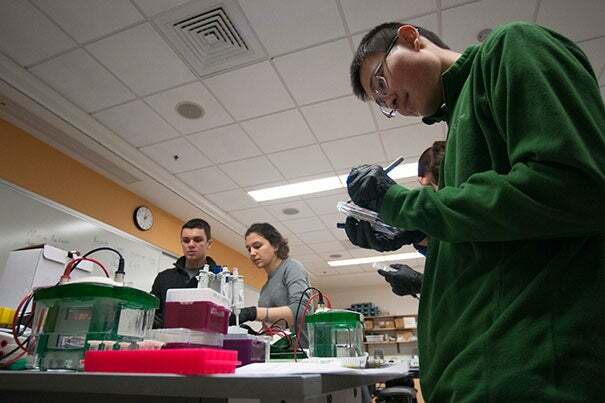 But a handful of Harvard freshmen got the chance to experience real lab work by exploring how altering genes in yeast affected the cells’ functions. 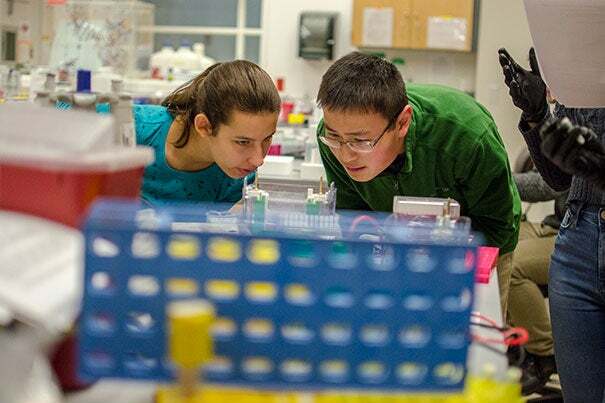 Created by postdoctoral fellow James Martenson and Vlad Denic, a professor of molecular and cellular biology, the Wintersession class was designed to give undergraduates an up-close-and-personal view of the research that takes place in Harvard labs, and the opportunities they have to take part. Over the course of the multiday class, each student worked with genetically altered strains of yeast to perform a series of three experiments. Using their various strains, he said, students performed a series of experiments aimed at testing how genetic changes altered organelle function. A critical part of cell biology, organelles are essentially compartments inside cells, and include everything from mitochondria — which act as the cell’s power plants — to nuclei, which contain genetic material. To probe questions of organelle health, Martenson is focusing on an organelle called the peroxisome — and students did the same. For the students who took part, the experience was invaluable. Though she had already worked in another lab, Irla Belli said the relaxed atmosphere of the class helped her learn that making mistakes is often a key part of research. For Amanda DiMartini, the class was a chance for an in-depth look at a field she’s considering as a concentration.